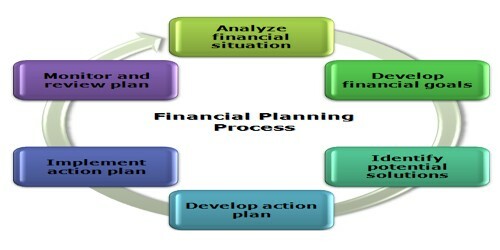 The financial plan refers to the projection of future financial course of action to be carried for the efficient execution of operating plans and effective accomplishment of the corporate objective. The financial plan provides a roadmap for guiding, coordinating and controlling a firm’s financial activities in order to achieve the objectives. The needs for funds are different for various industries. The asset structure, element of seasonality, stability of earnings is not common factors for all industries. These variables will influence determining the size and structure of financial requirements. The standing of a concern will influence a decision about the financial plan. The goodwill of the concern, credit rating in the market, past performance, an attitude of the management is some of the factors which will be considered in formulating a financial plan. The future plan of a concern should be considered while formulating a financial plan. The plans for expansion and diversification in near future will require a flexible financial plan. The sources of funds should be such which will facilitate required funds without any difficulty. There are a number of sources from which funds can be raised. The pros and cons of all available sources should be properly discussed for taking a final decision on the sources. The sources should be able to provide sufficient and regular funds to meet needs at various periods. The prevailing economic conditions at the national level and international level will influence a decision about a financial plan. These conditions should be considered before taking any decision about sources of funds. A favourable economic environment will help in raising funds without any difficulty. The government policies regarding the issue of shares and debentures, payment of dividend and interest rate, entering into foreign collaborations, etc. will influence a financial plan. The legislative restrictions on using certain sources, limiting dividend and interest rates, etc. ; will make it difficult to raise funds.